The BetVictor gambling company has a long and storied history. It was established as a sports gambling operation in 1946 and has maintained a reputable place in the gambling industry since then. Today’s BetVictor site offers plenty of opportunities for sports betting, but our mission is to review the best online casino sites in the UK, so we focused on the core features of the casino-gambling pages in preparing this BetVictor review. Does BetVictor’s current incarnation as an online gambling site live up to its reputation and long history of supporting British gentlemen in their gambling pursuits? Read on to find out. BetVictor’s colour scheme may remind you of a historic gentleman’s club. You won’t find flashing neon reds and oranges here, but serious dark grey and gold against a dark blue background. The design helps brightly colored casino games pop, especially when they are played in full-screen mode. You’ll have no trouble finding your way around, either. BetVictor’s menus aren’t flashy, but they do an admirable job of directing you wherever you want to go – much as a discreet butler might. The selection of games at BetVictor is nothing short of outstanding. While other online casinos may offer 300 or 400 games, BetVictor offers more than 1,000 slots alone. The BetVictor team paid as much attention to quality as to quantity. The games on the site come from most of the industry’s best-known makers of quality games, including NetEnt, Microgaming, and IGT. And it’s not just slots. BetVictor casino also offers multiple live and video instances of the most popular table games, including blackjack, poker, baccarat, and roulette. Casinos have devised complicated welcome bonuses and loyalty programmes to attract gamblers and keep them playing. These programmes do indeed capture the player’s attention, but restrictions and limits generally make them less appealing than they seem at first to be. BetVictor doesn’t fool around with a lot of complicated offers. We found demo options on most games, which is a very welcome feature, as it lets you see if you like a game before investing real money playing it. Beyond that, casino gamblers have access only to a modest welcome offer and a weekly raffle for cash or casino credit. Most of BetVictor’s promotional offers seem to be focused on the sports-betting side of the operation. However, we found no sign of loyalty programmes to keep gamblers coming back for more. Customer support staff at BetVictor offer round-the-clock live support via chat. The site also provides an email address for sending queries and reporting problems. Like most online casinos, it offers no phone number. You may not need to contact customer support at all, however, as BetVictor’s pages include a comprehensive FAQ that addresses most questions and problems. Site managers have made the FAQ even more valuable by implementing text search – a feature other casino websites would do well to emulate. BetVictor’s banking options are ample. Funds can be deposited and withdrawn using many different payment methods, including Visa, MasterCard, and Paypal. The site supports a wide variety of currencies, including U.S. dollars, British pounds, and euros. Casinos, like banks and other institutions that deal with large amounts of cash, are notoriously close-mouthed about the securities measures they have put in place. BetVictor’s visual security system includes two-factor authorisation for log-ins and a claim of compliance with Europe’s comprehensive General Data Protection Regulation. The site is licenced by the UK Gambling Commission, the Revenue Commissioners of Ireland, and the Government of Gibraltar. You may find yourself overwhelmed by the huge list of promotions on BetVictor’s “offers” page. Don’t get too excited. When you filter out the Sports bets you are left with only two offers – the Welcome bonus and the “Game of the Week”. The BetVictor casino bonus programme is undeniably lacklustre. The Welcome offer becomes available after you have wagered at least £10. Bets on baccarat and the Blood Suckers slots game do not count toward this minimum. The wagers must be made within seven days of creating your account. The Welcome offer consists of a £20 slots bonus that can be used on all games except Blood Suckers, a £10 bonus for live and table versions of casino games (except Baccarat), and a £10 bonus for scratchcard games, which located in the “instant win” section of the site. Further restrictions apply. For example, BetVictor reviews all claims to bonuses and reserves the unilateral right to cancel those they find suspicious. Another restriction strikes us as even more serious. BetVictor’s terms and conditions state that the site can cancel bonus funds and remove any winnings made using them from the player’s account, if they deem the funds are being used on “low-risk” bets such as betting on red or black on roulette. Further, bonus funds on the casino’s slots and “instant win” games must be wagered 35 times before they can be withdrawn. Funds granted for table and live casino games must be rolled over 60 times. The “Game of the Week” promotion is the best offer our researchers discovered while testing the site for this BetVictor review. For every £10 wagered on the site, you essentially purchase a raffle ticket to enter a weeklying draw for prizes. The prize pool is £5,000 and the first prize is more than tantalising – £1,000 in cash. The cash can be withdrawn from the user’s account at any point and, best of all, is not subject to any wagering roll-over requirements. Other prizes consist of slots bonuses, the biggest of which is a generous £500. Bonus funds can be used for all slot games except Blood Sucker. They must be wagered 35 times before withdrawal and they have a five-day use-by period. Participation in the raffle isn’t automatic. You must opt in by accessing the raffle page in the site’s “offers” section. With more than 1,000 slots and hundreds of other games, BetVictor surely offers something for every gambler – and that’s without considering the sports bets for which the site is best known. It’s fun to browse through page after page of games, but the sheer number can make it hard to find the particular games you’re looking for. Luckily, BetVictor provides search and filter functions that help you track down games. You can even filter them by provider in case you have a favourite or a company you would like to avoid. The game pool is neatly organised into categories for ease of access: slots, live casino, table games, jackpots, virtual, and instant win. Among the site’s slots are favourites like Cleopatra and Starburst, plus licenced titles like Jurassic Park, Guns n’ Roses, and Jumanji. There are even some BetVictor-exclusive slots. There are plenty of live casino games to choose from, including blackjack, poker, baccarat, roulette, and Spin the Wheel. The live stream is smooth even in high-resolution mode. Dealers provide a welcoming atmosphere that falls just short of the real thing. We encountered an unconventional game called Football Studio among the live casino games. In Football Studio, the dealer draws from two decks of cards, one titled “Home” and the other “Away”. The higher card wins. Players can bet on Home or Away, both of which have a one-to-one payout, or Draw, which pays 11 to one. You will find the online experience very close to visiting a real-life casino experience when you play BetVictor poker, blackjack, and roulette. Unlike most online casinos, BetVictor offers free demos for these games too. This is a huge plus and it’s easy to access – just need to click on the Demo button that appears when you hover your mouse over the game. As soon as you enter the BetVictor casino you will be impressed by site’s old-fashioned style and elegance. Even the BetVictor login button looks great. The black and blue design inspires a calm and soothing mood that will help you focus. 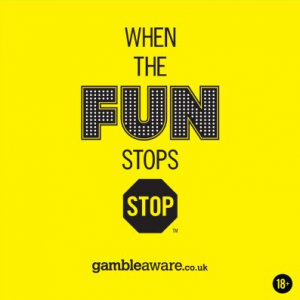 There are none of the flashy and tacky distractions that make it unpleasant to spend time at other gambling sites. The site worked flawlessly during our tests. Games open in separate pop-up windows, which means you can keep several games open at the same time. The size of the windows can easily be manipulated and stretched to full screen resolution. You can also download the BetVictor app for your mobile devices and experience BetVictor on the go. The top right corner of the screen is reserved for account management, including name and funds indicators (both of which can be hidden if you wish) and a deposit button. Bonus funds are displayed separately from the deposited funds, which is important because bonus funds often have special conditions for withdrawal. The screen also includes a suggestions box – a nice feature that indicates site managers invite user input. You will need to provide the standard general information when registering your account – name, address, telephone number, all the usual details. Once your account is created, you will have to verify your address by providing a bank statement or utility bill. You must also verify your age by scanning and uploading some form of ID. Only then will your account be considered verified. If you verify your age using BetVictor’s online chat feature you’ll get a £5 sports betting bonus. The website is available in English, German, and Chinese. Access is prohibited from many countries where online gambling is legally prohibited. In addition to live chat and email, BetVictor customer assistance is available via SMS. You can even text-message a request for a call back. These convenient customer-support features are great, but you are probably less likely to need them because the detailed FAQ section on the Bet Victor casino website includes a highly functional search option. The FAQ will probably cover most of your needs. BetVictor covers all the banking bases. Funds can be deposited in widely used currencies, including US dollars, UK pounds, and euros. You can make deposits and request payouts with Visa, Master Card, Paypal, Skrill, PayNow, NETeller, Paysafe or bank transfer. We tested Skrill, which has a 10-euro minimum and a 50,000-euro maximum for deposits and a five-euro minimum and 44,000-euro maximum for withdrawals. Our transactions took place quickly and correctly, which is just what you want from money transfers. You can boost the security of your account by enabling two-factor authentication. This can protect you from unwanted logins to your account. The return-to-player percentage of the site is supervised by eCogra, one of the industry’s most trusted auditing companies. The fairness of the random number generator is monitored by third-party companies, and BetVictor promptly provides certificates for individual games if you request them by email. The BetVictor casino is compliant with the EU’s General Data Protection Regulation, which means you can access the information the site holds on you upon request. If you feel you need to set boundaries on your betting, you can establish monthly, weekly, or daily deposit limits. You can also activate the Reality Check option, which tracks how much time you have spent on the site and reminds you when certain milestones are passed. The site is licenced under the UK Gambling Commission, the Revenue Commissioners of Ireland, and the Government of Gibraltar. BetVictor leads the pack when it comes to interface design and game selection. We were very pleased with the platform’s speed and performance while researching this BetVictor review, and had especially nice things to say about the design, which is a welcome change from the colourful, neon flashing pages at most casino sites. The huge collection of live and video games is sure to offer something that pleases you. If you are looking for a first-class casino platform to fuel your gaming needs, look no further than BetVictor.com. The sports-gambling pages are just a bonus.